Are you ready to finally turn your idea into income? Hi there, Lucrative Self-Actualization Seeker! 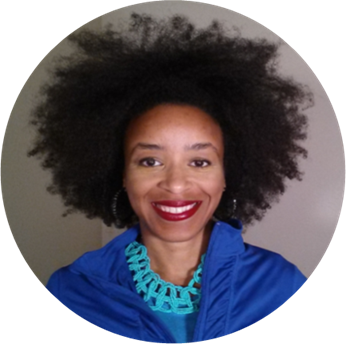 I'm Stacey Smith and I help idea-stage entrepreneurs get to income with marketing consulting and copywriting services with my Incomeify Intensive. #1. I support you in you clarifying your message/branding, products/services, most probable purchasers, and most viable marketing channels that will generate sales. #2. I will write content for up to three pages of your website (Home page, About us, Services), up to 2,000 words per page. We will have one, 1-hour phone call each week (5 total) to work on validating your idea, fleshing it out into a product or service that your ideal customers or clients will buy. Simultaneously, I will be writing content for your business' website. At the end of the 5-weeks, you'll have a business that's ready to make money. ​In order for your business to succeed, your products or services need to resonate with your ideal customers. Your business needs to be on the radar of the right people with the right message. Now, in order to do that, you must refine and master the PPPSP Quintet. WEEK 1. People: Be clear on who your ideal customers and clients are. What are their challenges? What are their aspirations? Why would they be hesitant to buy from you? Knowing these things will help us create your company's messaging. WEEK 2. Product/Services: Be clear on how you help your customers. What are your products and services? How are they different or better than what already exists? How does your business resonate with your ideal clients/customers? Make sure your branding is in alignment with what you stand for and what you offer. WEEK 3. Place/Distribution: Determine where your ideal clients/customers hang out online. Maybe they live on Instagram and won’t touch LinkedIN. It’s important to know where they are so that you can be there with messaging and content that resonates with them. WEEK 5. Promotion: Create online digital marketing strategies that attract, engage and invite your ideal customers into your business’ Sales System. ​These five components must sing together in perfect harmony (like Boyz to Men) before you you can make money in your business.